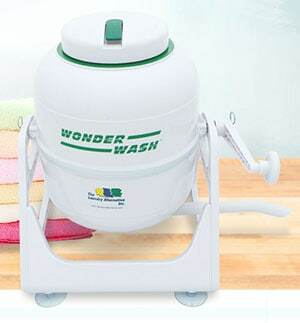 A fast and easy way to clean small loads of laundry is by using WonderWash portable washing machine. You just turn the handle to get up to 5 lbs. of clothes clean in couple minutes without using any electricity. It’s perfect for people that live alone, college students, apartment dwellers and more. You can easily take it with you anywhere, or store it out of sight when not in use. You can even take it camping or in your RV to have clean clothes, at any time, while you are traveling. It is also the fastest and easiest way to hand wash items like sweaters and delicate silk shirts. 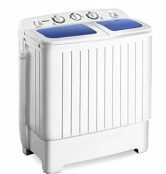 Because the whole unit is so compact, it’s a completely portable clothes washer and an incredibly efficient way to get clothes clean. Wonder Wash pressure washing machine is also an environmentally friendly solution. Each time you wash clothes using this machine, you will be saving water, using less electricity and less detergent. 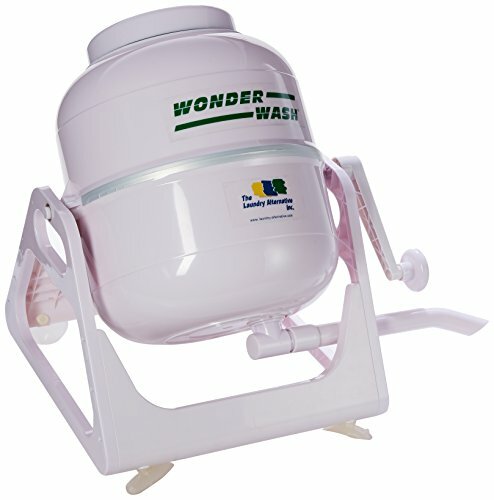 The WonderWash portable washing machine was invented in South Africa as a practical product for large, low-income households. Lacking access to running water and electricity, and as a gentler alternative to frequent hand washing, this product was God brought. 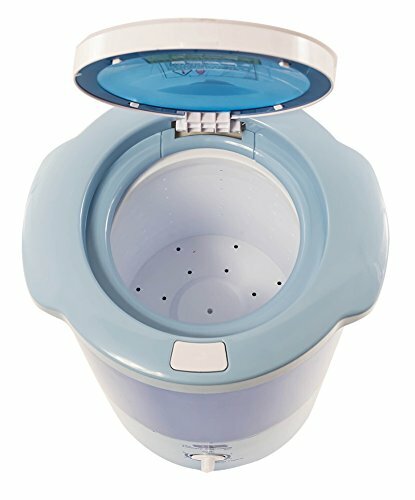 Who Should Use WonderWash Portable Washing Machine? It is not big enough to be the full time washing machine for a large family. But it does come in handy for families that do frequent small loads or hand washables. Any item of clothing that claims to be hand wash only can be cleaned using this product. The small size makes it perfect for couples or single people, and it it is ideal for anyone that lives in an apartment, condo or dorm room. 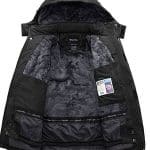 It works great for traveling or camping and would be perfect for anybody that is tired of paying for or going to the laundromat all the time. Just pull out the WonderWash portable laundry cleaner and place it on the counter to do a single small load in very little time. It uses less water, less soap, and less electricity when compared to conventional ways of washing clothes. 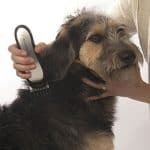 It is also far easier to manage than any other hand washing method. There is only a modest investment to own one (about $42), and people end up saving $150-$200 a year when they use it. The simple yet effective design will work great and allow it to last for years. It doesn’t require a lot of strength to operate, and you really only need to spin it for a couple minutes to completely wash your clothes. How Does WonderWash Portable Washing Machine Work? The advanced design of this machine is what makes cleaning small loads of laundry and hand washables so easy. The main part is the barrel or agitator. It is wide open on the top, has two pins that stick out the sides, one is larger than the other, and a valve on the bottom. Included are four parts for the stand that the WonderWash sits on, two sides and two supports that go across the front and back. The supports have suction cups on them to be able to attach the Wonderwash to a bathtub bottom or maybe even a kitchen counter to keep it steady. Also included is a bag small plastic locks that secures the sides to the supports, a handle, drainage tube, pressure cap and two pins to secure the basin to the stand. Putting it together, even without instructions is easy. No tools are needed at all. When you put water into the drum, fit the lid in place and seal the machine. The air inside the drum will absorb water and expand. Once this takes place, the increased pressure will drive soap and water into and through the fabric of your clothing about 100 times faster than you could by hand, or using a regular machine. This action combined with the agitation you get from cranking on the handle combine to remove dirt from clothing in a quick and efficient manner. This unit works surprisingly well to clean and/or rinse laundry, and it does so with just little human power, a little bit of soap, and warm water. 1. To wash clothes, place your dirty items into the washing drum. 2. Add water and detergent and then secure the pressure lid. 3. Once the unit is closed, just crank the handle to wash your laundry. About 2 minutes of rotation is all that is required for a normal load. You will want to spin more or less depending on how dirty your clothes are and how full the load is. 4. Once clean, attach the drain spout at the bottom to let the dirty water out. 5. You can do a rinse cycle next by refilling with clean water, or just proceed to remove clothes and dry them. 6. To do a rinse cycle, simply add water just like you did the first time, but with no detergent. Crank again for 1-2 minutes and then re-drain the drum. 7. Loosen and release the pressure screw to remove your clothing. We recommend following the wash cycle with a trip into the mini dryer or large spin dryer to remove excess water and start the drying process. Remember, cranking is required to operate this washing machine, but it is not solely responsible for cleaning your clothes. The pressurized chamber is more integral to the cleaning process, and the minimal cranking that is required only adds a little extra agitation and allows everything to mix better. You will not have to work hard to achieve good results. The WonderWash will do all of the hard work for you. Why Use the Wonder Wash? Washes a 5-lb. clothes in just a couple of minutes. Has a patented pressure system that forces detergent into the fabric at high speed for a fast, efficient, economic and very easy wash.
Is ideal for campers, single persons and even for the housewife with small frequent loads like hand washables and diapers. Uses far less water even when doing hand washing. Wonderwash Review: Breaking Free of the Laundromat? WonderWash Review – Does it Really Work? Yes. The clothes come out as clean as with a conventional washing machine. According to a leading university which tested the machine, it performs according to claims. It has also won many awards at trade shows, with the most prestigious one being the silver medal awarded to the portable washing machine at the IMPEX Invention Show in the US. The product has been purchased by several hundred thousand people since its invention. It has also been tested and received many positive, fully independent reviews from major print publications. You won’t be able to wash as many items at once, but your results will be great each and every time. It doesn’t look like it would be able to wash clothing, but once you use it, the fresh and clean laundry will be proof enough. 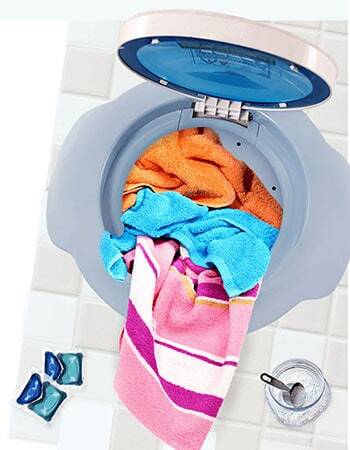 If you want to skip a few trips to the laundromat or you are looking for a portable washing machine to use in your dorm room or RV, then the WonderWash is perfect for you. 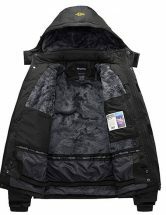 It will deliver a compact and foolproof way to quickly wash clothes without spending a lot of money, using electricity or going anywhere to do it. 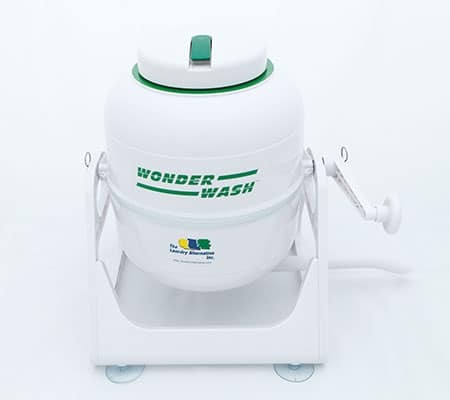 The Wonderwash portable washing machine is a hand-cranked washing machine. It does not use electrical power. It uses human power to agitate your clothes. 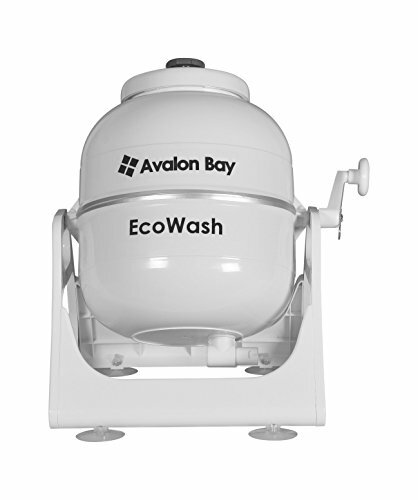 The Wonderwash consists of a large barrel-like main chamber that sits on two pivot points. There’s a top to it, a handle for cranking it and a drainage port on the bottom. The Wonderwash isn’t something though that you’re going to be using to wash a large families worth of clothes though. It’s very small. But being small makes it portable as well. This product is something that you will be taking on camping with you or using to wash a small number of clothes. It uses very little water, and it doesn’t need electricity so it’s likely to appeal to the green crowd out there. 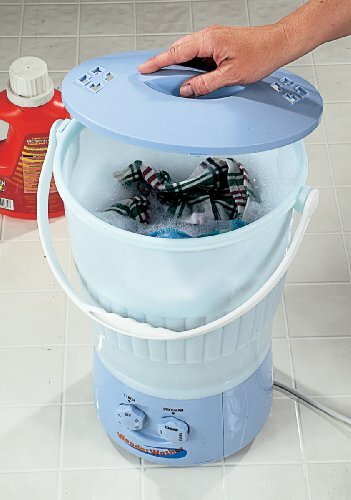 A hand-powered, portable washer with compact design, it’s an ideal laundry solution for apartments, campers, single people, RV’s, mobile homes, cabins, and anyone who frequently washes small loads.With no motor or internal moving parts, The WonderWash is built to last much longer than electric washing machines.